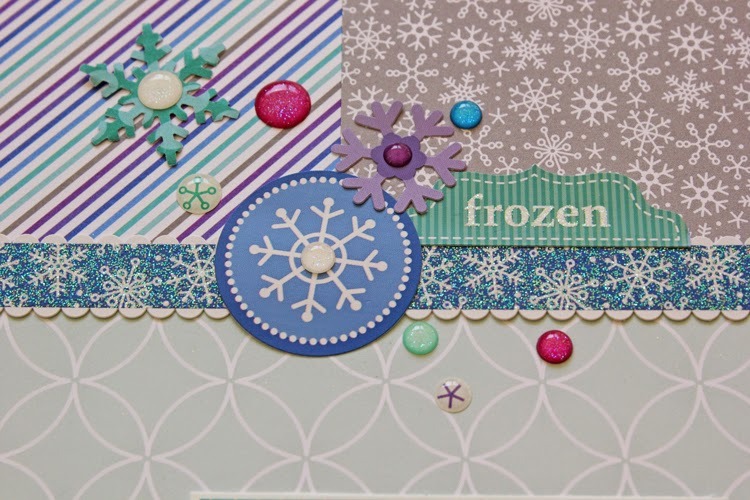 Doodlebug Design Inc Blog: Frozen Inspired Layout "Warm Hugs"
Hello Doodlebug friends! Aimee here today with a layout that I'm so excited about. My family and I recently went on a Disney cruise and were thrilled when we found out that Elsa and Anna were on board! Well, maybe not the boys but my sweet girl and I were! I was even more excited when I realized the colors of the Frosty Friends Collection matched my photos perfectly! Have you all checked out the new Chippers? They are so easy to use and a perfect addition to all of the Doodlebug alphas! I just love to use all of the different sizes of alphas to make a unique looking title. The new glitter Sprinkles are so cute and adds so much to any project! I love the look of them!! And check out the "frozen" tab.....perfect for my layout! 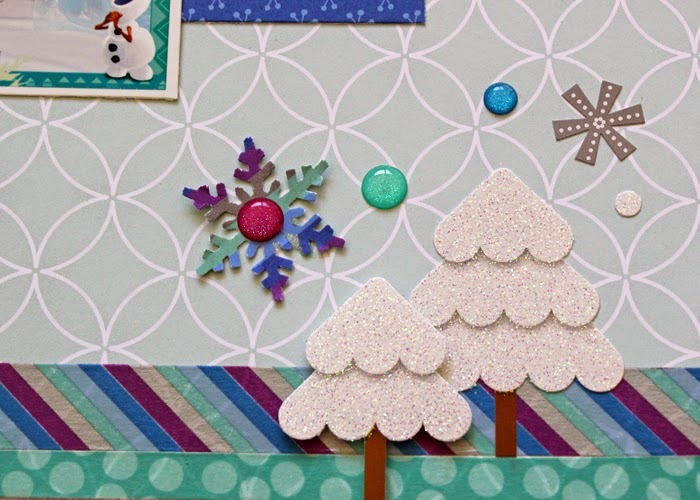 Aside from all of the gorgeous pattern papers in this collection I LOVE all of the glitter.....glitter on the papers, glitter in the Sprinkles, and glitter on these adorable little snow covered trees! Thanks for joining us today! I know you have been lovin' all of inspiration the Doodlebug girls have been showing! This collection is gorgeous and fun to use! Be sure to get yours for all your wintery projects! Such sweet photos Aimee!!! Awesome layout! Fantastic layout, loving the new chippers and the glitterness! The way you used all of the different elements for the title looks fabulous! So love this layout! OH MY GOODNESS - what an EXCITING experience Aimee!!! LOVE the photos, LOVE the title and LOVE ALL your PERFECTLY coordinating Frosty Friends papers & embellishments - you can never have too much glitter, especially when crafting about Frozen adventures!!! This is lovely. Those photos are amazing. I think this layout is fantastic!!! I love the way Aimee used great backgrounds and colors to create borders and points of interest on this amazing page!! This collection seems perfect for anything Frozen related!! Aimee did a really great job with this page!! !